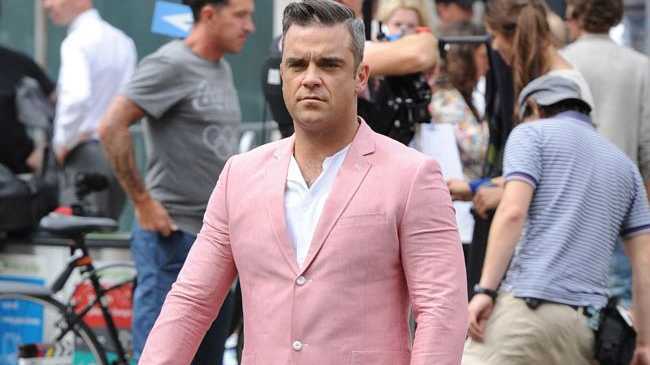 ROBBIE Williams wants to have liposuction when he turns 40 next year. The 'Candy' hitmaker, who has already admitted to having a hair transplant, is planning to undergo a variety of plastic surgery procedures after he turns 40 on February 13 to stay looking young. He said: "I am going to have everything done. I am going to have a facelift, the chin can go, liposuction. The mid-life crises theory has been creeping up on me for some time." Robbie has battled with his weight over the years but appears to have found his ideal weight and now knows how to keep it. The Take That star insists becoming a father to 15-month-old daughter Theodora - his child with wife Ayda Field - has encouraged him to live a healthier lifestyle. He said: "With arrival of Teddy my daughter, there is a different perspective on the world. I don't smoke three packs of cigarettes any more, I got to bed earlier. There's been physical things and mental stuff." His comments about plastic surgery come not long after Robbie revealed he had a hair transplant despite not needing one. In a TV interview in November, he confessed: "I've lived in LA for a long time and they say, 'If you sit in a barber's shop for long enough you will get a hair cut.' Well, if you live in Los Angeles for long enough you're going to get some surgery. I've had a thatch done and I didn't even need it. That's the weirdest thing. I had three months off and got bored."